The sight of this alone is enough to drive me into a frenzy of sad nostalgia. 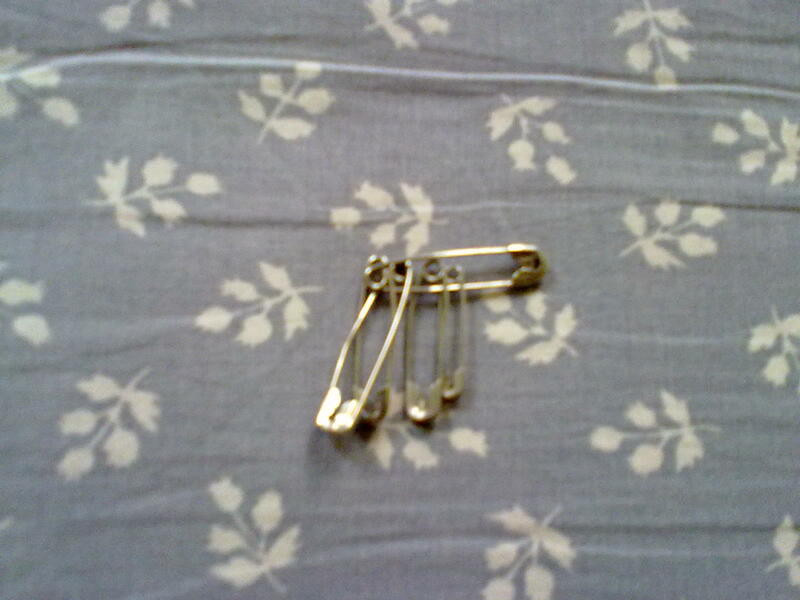 My Mom and I had this on-going war about safety pins. My pin, your pin. No, I gave it to you. Ah, it was mine in the first place. As generously as we shared sarees, and even blouses, and went out of our way to be nice to each other (ah, love! ), pins were our favorite fight-inducing things. Of course, all in good humor, but we loved it. I would often joke with her that the main reason why we wore a “mangal sutra” was to give our safety pins a home. We don’t use safety pins as much as we used to those days – when both of us went to work in sarees – at least I liked to keep my pallu and pleats in place with a safety pin – and needed two at all times. And I would always misplace them when I took them off. Mom, of course, would carefully find them and keep them. These days, I hardly wear sarees. Salwar kamizes, jeans/t-shirts are far easier – both to wear and to maintain. A couple of days ago I woke up – remembering my dream vividly. We were on a trip somewhere – in the south – Mom was with us…and we were amazed to find that the place was full of Amman temples. Even houses had temples at the entrances. I still remember the faces of the idols so clearly, and am sure if my mom had been here, she would have told me that it was very significant. Maybe we should light a nimbu-lamp? Maybe a nimbu-malai for Amman? Yes, I think I’d do both. I’ll light the nimbu lamp today and arrange the nimbu malai for Tuesday or something. Yes, Mom. I will. We are proud of Bharati Balu. Again. Sumit, thanks for dropping by. I remember, safety pins used to come handy when ever our shirt buttons used to falloff during play or fight in childhood days.Another use of it was to clean the ears or to remove pricked thorn from our naked legs! Correct, SRA Sir. Until we thought we got a bit smarter and used staplers for a quick repair job. For me, though, safety pins are special. Vidya, I miss your mother. That makes four of us now, Pa.